The football world holds its collective breath throughout January. Also known as the silly season the winter transfer window throws up all sorts of transfer rumours. One that does not seem to go away is the potential transfer of Leandro Paredes from Zenit to Chelsea with sources in England claiming that the Russian club is demanding €40 million from the Premier League side. With the possibility of a looming transfer ban Chelsea have already spent €63 million on Dortmund’s Christian Pulisic, he will move to England next summer. Furthermore, Chelsea sold Cesc Fabregas to Ligue 1 side Monaco last week. Hence, the Londoners are desperate for some midfield re-enforcement before FIFA slams the door shut on potential transfers. How likely is a Leandro Paredes transfer? In Leandro Paredes, Chelsea have certainly targeted one of the most talented players in the Russian Premier Liga. Furthermore, Chelsea’s Russian connection through owner Roman Abramovich and Chelsea director Marina Granovskaia the club have a good link to Zenit’s owner Gazprom. Then there is the player. Leandro Paredes recently retweeted a welcome to Chelsea tweet on Twitter further fueling speculations that a move could be imminent. His social media activity, in particular, suggests that the 24-year-old Argentine would be interested in leaving the Russian Premier Liga leaders. Paredes’ problem, however, is that Zenit are somewhat reluctant to let the playmaker go. The well connected Russian journalist Ivan Karpov recently stated on the Russian social media platform Telegram that Zenit would not want the Argentine to leave this winter, as they lack alternatives on his position. Karpov has a point. Leandro Paredes is the only deeplying playmaker in the Zenit squad at the moment. Other options on the position like Matías Kranevitter and Hernani are more defensive or lack the pure playmaking ability like Daler Kuzyaev and Magomed Ozdoev. Meanwhile, Christian Noboa, who can fulfil this role has struggled with fitness and at 33 no longer has the quality that Zenit require – the same to some extent can also be said about Claudio Marchisio. Then there is the factor that Zenit are currently fighting tooth and nail to win the Russian championship and return to the UEFA Champions League. After a strong start to the league campaign, Zenit seemed set to dominate the RPL this season but three defeats in the last five games have narrowed the gap to second place Krasnodar to just one point. Hence, Zenit need the quality that Leandro Paredes brings to the side to fight off Krasnodar’s challenge and return to the Champions League, which, in turn, is crucial to generate extra cash and stay compliant with UEFA Financial Fair Play regulations. What sort of player is Leandro Paredes? All of the above complicates a transfer for Zenit. But perhaps, in the end, Zenit would be willing to strike a similar deal as Dortmund have for Pulisic. 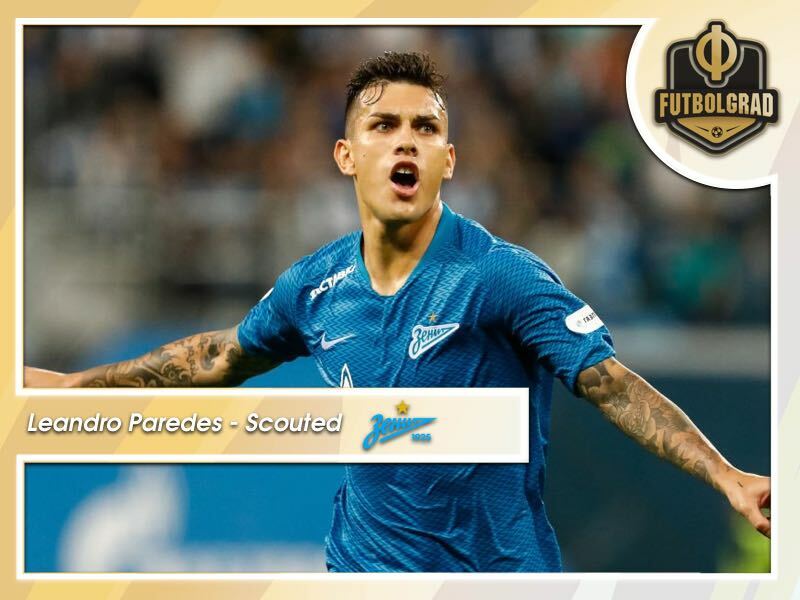 Chelsea would buy the midfielder, who is under contract at Zenit until 2021, for around €40 million but Leandro Paredes would remain in Russia until the end of the season. Such a deal would allow Chelsea to circumnavigate FIFA’s looming transfer ban. Zenit, in turn, would not jeopardize their title challenge by keeping the Argentine around. But what sort of player would Chelsea receive? Signed from Roma for €23 million in the summer of 2017 Leandro Paredes is a typical deep-sitting playmaker. This season Leandro Paredes is ranked eighth in the league, and first among Zenit players, with 895 passes played. 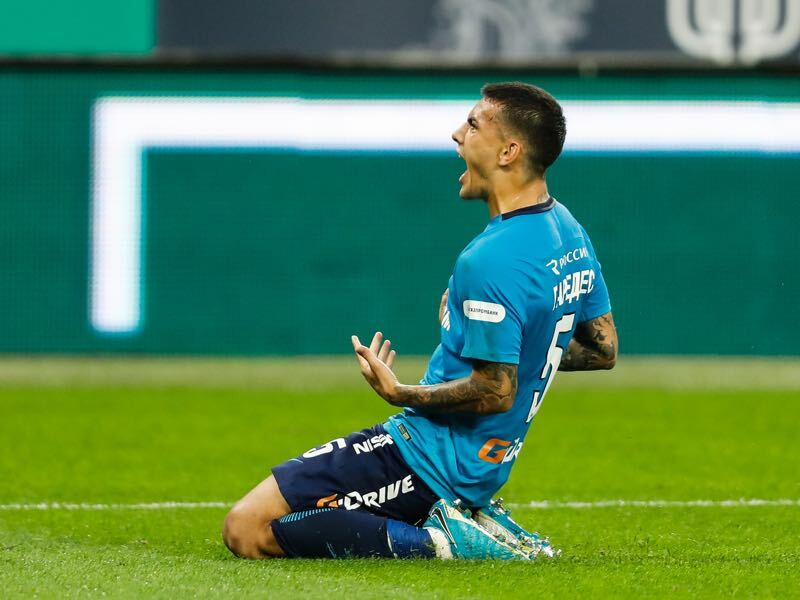 Of those passes, Leandro Paredes managed to complete 88.72%, the second most in the Zenit squad behind Luís Neto (only players that have played in ten or more league games were counted). The Argentine is also third in the league when it comes to accuracy in through passes with 35.71% of his passes through the channel finding their target. It is one of Paredes’ best abilities to win the ball in his half, he averaged 4.57 interceptions this season, and then quickly play the ball forward through the channel to produce a goal scoring opportunity. In that, his movement is almost a bit like that of former Spanish international Xabi Alonso. Not a quick or dynamic player Paredes heatmap shows him mostly around the centre-circle or just in front of his defence. It is from there that he plays his long passes from the back – other than through passes he also managed to complete 55.3% of his on average 6.04 long passes this season. It is an ability that is hard to find on the modern transfer market, and it is, therefore, no surprise that Chelsea are interested in the Argentine. Furthermore, for Zenit, it will be hard to keep a player of this calibre in Russia long-term.